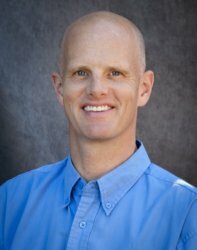 After obtaining his Bachelor’s degree in Biology from the University of Oregon, Dr. Gittins pursued his dream of becoming a Chiropractor at Western States Chiropractic University in Portland, Oregon. After graduating in 1994 and establishing his practice with Oakway Health Center, Inc., Dr. Gittins quickly built a large and loyal following of patients who appreciated his individualized treatment focusing on natural solutions to enhance health. Through his treatment of patients at Oakway Health Center, Dr. Gittins began making supplements and educational material available to his patients via the internet as a convenience to them. Patients began to tell family and friends and, before long, Oakway Health Center became one of the top on-line resellers for several manufacturers. It was a great way to help people with the more technical and challenging aspects of finding the supplements that are right for them and reach more people than he ever could have with only a physical location. To enhance his knowledge and skills, Dr. Gittins pursued further training as a Certified Chiropractic Sports Physician, receiving his certification by the American Chiropractic Board of Sports Physicians. This national accreditation is shared by only three percent of all licensed Chiropractors. Through Oakway’s popular “Ask the Doc” feature, Dr. Gittins shares his unique expertise with anyone who has questions for him. In 2014, Oakway Health Center changed its name to Oakway Naturals. Although our name has changed, we continue our promise to listen to our customers, act responsibly, and provide amazing service along with the highest quality supplements on the market. I want to personally welcome you to our site. Our goal is to help you improve, regain, and optimize your health so that you are able to live the life you desire. Whatever your goals, we are here to help. Most of us realize that in order to improve our health we need to make better choices on a daily basis. Only then will we enable our body's inner healer to express its full genetic potential. Many of the major chronic diseases associated with aging such as: diabetes, hypertension, and osteoarthritis are not inevitable outcomes of the aging process. Most of us are aware that the health of America is declining. Additionally, most of us know that major chronic illnesses, such as heart disease, stroke, diabetes, cancer, arthritis, osteoporosis, and Alzheimer's are on the rise. However, did you also know that you have a major weapon against these? Lifestyle changes are the one aspect you can control, and are the most important defense against these debilitating conditions. A Balanced Diet No matter how careful we are to eat nutritious foods in the recommended proportions, most of us fall short of meeting our daily nutritional needs. The food we eat provides raw materials for energy production, muscle, bone, tissues, manufacturing of hormones, and enzymes that control essential functions within your body. A properly balanced diet of macronutrients, (protein, carbohydrates and fats) and micronutrients, (vitamins and minerals), is essential to optimizing your health. Exercise Most experts agree that a minimum of 30 minutes of exercise, three times per week, is essential to maintaining optimal health. Moderate, prolonged rhythmic exercise is best. Examples include: walking, swimming, cycling or jogging. Appropriate Nutritional Supplementation There are hundreds of nutritional supplement products available on the market. Attempting to determine which product(s) to buy can be daunting. Whether you purchase vitamins at your local health store, online, or via mail order catalog, one must be careful to know exactly what they are purchasing. The vast majority of multivitamins, individual supplements and protein products today contain at least 25% filler. Filler is a chemical product that is put into the product to flavor, hold together or enlarge the product. I recommend that you place no hidden fillers or coatings, binders, shellacs, artificial colors, fragrance or excipients in your body – as they would disrupt or diminish the bioavailability of the ingredients your body seeks. Stress Management Stress is the "wear and tear" our bodies experience as we adjust to our continually changing environment. It has physical and emotional effects on us, and can create positive or negative feelings. As a positive influence, stress can help compel us to action. As a negative influence, it can result in feelings of distrust, rejection, anger, and depression, which in turn can lead to health problems such as headaches, upset stomach, rashes, insomnia, ulcers, high blood pressure, heart disease, and stroke. Stress management is in large part dependent upon all of the aforementioned factors: a balanced diet, exercise, and appropriate nutritional supplementation when needed. In closing, I'd like to encourage you to contact our customer service department with any product questions you may have. We have endeavored to make this more than just another online nutritional shopping site. Reading material, in the form of articles, brochures, and updated monthly newsletters, are made available for your perusal. If you cannot find what you are looking for, we encourage you to contact us by phone or email. Remember, the best investment you can make is in your health.